Everybody loves free. As a bunch of marketers, we’re all over it. We deal in free. We dream of free. We eat, sleep, live and breathe free. And, as a fellow marketer, you know a good deal when you see one. This is one of those good deals. Shutterstock offers free downloads. It’s one of those little-known features that Shutterstock that they don’t really advertise. In fact, you’ll only really know about it if you already have a Shutterstock account. Let’s begin by telling you a little bit about Shutterstock – home of the largest library on the net. Shutterstock is everything a marketer needs. You see, marketing is both an art and science. We have to have a creative flair in order to create our marketing campaigns – that’s the art part. It’s a science because everything we do gets scrutinized, measured, tweaked and made better. Marketing is one of those fields that refines you over time. Shutterstock has a library with over 60 million files. Each and every day, over 50,000 files are contributed. They have stock photos, editorial photos, vectors, video footage and music files. We are always looking for ways to think outside the box. This includes looking for a new marketing avenues. The biggest and fastest-growing marketing channel is videos. How do we create ads that are visually appealing and engaging? With Shutterstock music and videos, of course! Shutterstock is incredibly easy to use. Who wants to use a microstock agency that’s hard to use, doesn’t deliver on its promises, and makes for a frustrating experience? I know I don’t. It sports a comfortable look and smooth navigation experience, plus they have a large community of contributors and customers. Are you a contributor? Do you wish to know how to make it in the photography industry? Go to Shutterstock – this is how you do it. When you use Shutterstock, you’ll get more than you expected. Check this out. 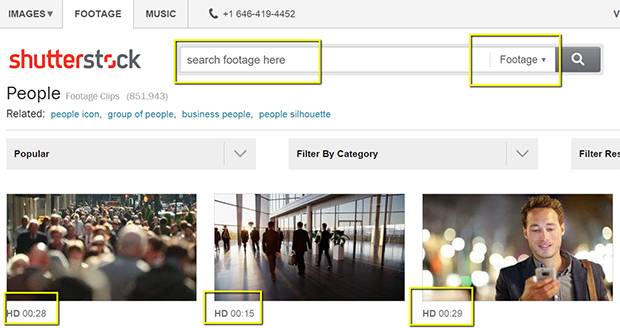 Over 3 million video clips – 2.5 million in high definition. Been in business since 2003. Built from the ground up by a photographer, for photographers. Royalty-free licenses are not always the same. Shutterstock royalty-free license offers advantages over its competition. 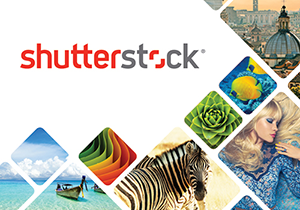 Shutterstock is publicly traded on the New York Stock Exchange. Every Tuesday, Shutterstock offers two free images. One is a vector image and the other is a stock photo. To get your hands on these free images, follow these four simple steps. Register for your free account by clicking here. Sign into your new Shutterstock account. Find their free images on their blog by clicking here. It really doesn’t get any simpler than that, folks. Go on – get your free images today!